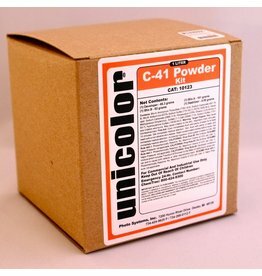 Develop your own colour negative film with this complete C41 kit! Contains powder to make 1l each of developer, blix, and stabilizer. Processes 8 rolls of 35mm, 8 rolls of 120, or up to 32 sheets of 4x5.